It’s easy to explain the origin of this gin – when a design agency decides to mark its 44th anniversary and a house full of creative minds begins to think about how to celebrate it, this inevitably ends with a ‘Schnapsidee’. 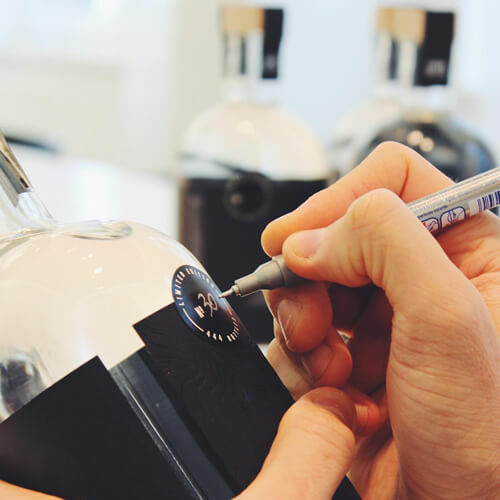 We talked to both distillers and bartenders and did what we’d always wanted to do: Create a celebratory gin and a striking packaging design. The gin comes with exactly 44% vol. alcohol and is composed of 44 botanicals. We would like to introduce you to the Peter Schmidt Group's very own elephant, for this celebratory gin could not have been created without him. Our elephant has been with us in Hamburg for 44 years now and he has accompanied us with wisdom and patience in everything we have done. We treasure our elephant dearly, perhaps even worship him a little, yet we truly believe he is equally as fond of us too. At least, he did not hesitate when we had asked him whether he would like to take a trip back to his homeland for us, to India where he had once carried Darjeeling tea from the hills to the port and where we first noticed him as he majestically trudged the pathways of India. Yet, our request had been a special mission, this time not to gather more tea but instead to collect all kinds of harmoniously matching ingredients so that we could distil our very own celebratory gin. "Leave it to me!" our elephant had trumpeted as he determinedly set off for the harbour, for where else should such an adventure start? Heading south in a sailing ship, past the coast of Spain, our elephant had immediately breathed in the scent of citrus fruits through his inquisitive trunk, of fresh lemons, grapefruits, oranges, limes and orange blossoms, all perfect gin ingredients he thought to himself. His ship had then continued across the Mediterranean Sea until it reached the east coast of Turkey, where in a local market our elephant was delighted by the refreshing taste of pomegranate. Afterwards, leaving the Bosporus by hot air balloon, he had sailed high above rivers, lakes and mountains towards the Caspian Sea and eventually landed in the middle of a scented pistachio grove that gave our elephant his next inspiration. 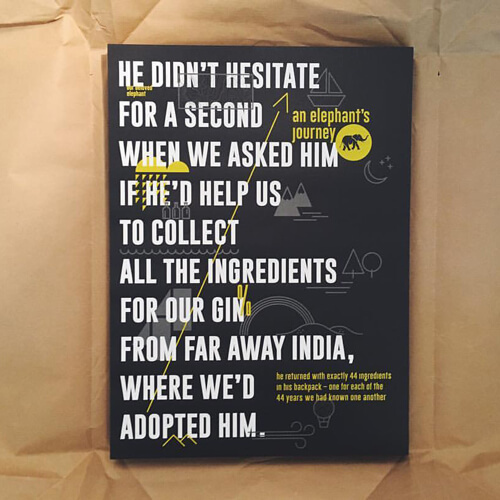 A train had then taken him over mountains and bridges until he finally reached the northern outskirts of India, yet at every stop on this journey our elephant had also sniffed further tantalising ingredients for our gin: Freshly cut roses, crocuses that had yielded their intense saffron and the distinctive scent of aniseed, cardamom and coriander that vividly stood out amongst the incalculable smells of dusty markets. It had then dawned on our elephant that all these discoveries would harmonise each other perfectly, and so his expedition continued for exotic spices that would compliment these fine ingredients. Thus finally he had travelled to the south of the country, where the fieriest of pepper varieties thrived, and collected fresh peppermint, lemon grass and lemon verbena and bought fragrant dried star anise and cloves. His quest completed, our elephant had then returned to us in Hamburg where full of expectation he spread his discoveries upon a table and waited for our response. "Ingenious!" we cried, for before us there had been exactly 44 different ingredients. "Of course," our elephant knowingly whispered to himself, before he rocked, just a little abashed, from foot to foot "one for each of the 44 years we had known one another". Smiling, we looked upon him and remembered that indeed, elephants truly never forget anything! For a moment there had been silence in the room, then as one we heartily congratulated our elephant on his wondrous journey. "Where would we be without him?" we asked ourselves, yet, our beloved elephant had known all along that he could have just as easily found these ingredients right here, amongst the fields and forests around Hamburg, where he now felt equally at home." 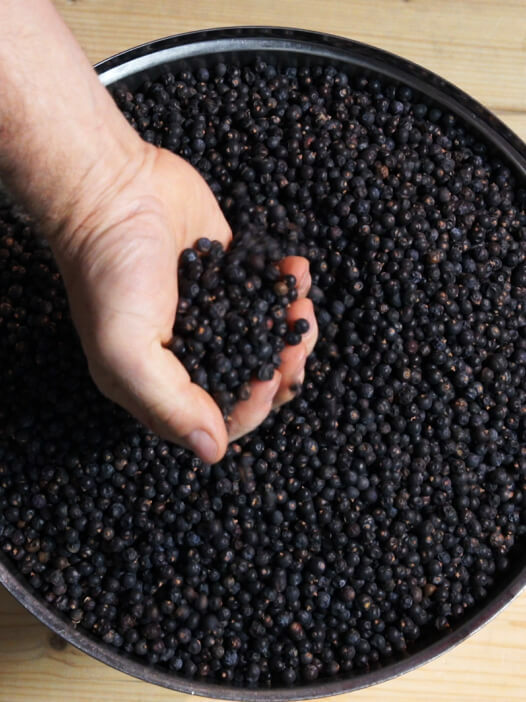 For more than 300 years, juniper berries have been a popular flavouring agent for gin. The word gin comes from the Dutch word for juniper, "geniver." In addition to being an ingredient in alcohol, juniper also has medicinal properties. Dried coriander seed contains an aromatic oil used as a flavouring, as a medicine, and in liqueurs. The seed itself is used as a spice similarly to that of the related caraway and cumin. The lemon fruit is used for culinary and non-culinary purposes throughout the world, primarily for its juice, which has both culinary and cleaning uses. The pulp and rind (zest) are also used in cooking and baking. Peppermint is an aromatic perennial plant that grows to a height of about 3 ft (1 m). It has light purple flowers and green leaves with serrated edges. Orange is the most important fresh fruit of international commerce. Its physical characteristics (especially the rich citric acid and vitamin content of the fruit) and history of cultivation are similar to those of the other types of citrus fruits. This pepper has a tangy, integer and intense. It is more sophisticated than the black pepper. It reveals its pungency in end of mouth. The whole grain has a perfume almost caramelized. He brings a rare aroma and powerful to a multitude of simple dishes or developed. The edible fruit is a berry, intermediate in size between a lemon and a grapefruit, 5–12 cm (2.0–4.7 in) in diameter with a rounded shape and thick, reddish skin. The number of seeds in a pomegranate can vary from 200 to about 1400. The grapefruit is so named because it grows in grapelike bunches. The large globular fruit weighs from 1 to 5 lb (0.45–2.27 kg). Resembling a gigantic weed, lemongrass is an aromatic tropical plant with long, slender blades that can grow to a height of 5 ft (1.5 m). Believed to have a wide range of therapeutic effects. Wormwood is a herbaceous, perennial plant with fibrous roots. It is grown as an ornamental plant and is used as an ingredient in the spirit absinthe as well as some other alcoholic drinks. Angelica Root is cultivated for its sweetly scented edible stems and roots and and should not be consumed unless it has been identified with absolute certainty. The blackberry is an edible fruit. What distinguishes the blackberry from its raspberry relatives is whether or not the torus (receptacle or stem) "picks-with" (i.e. stays with) the fruit. When picking a blackberry fruit, the torus does stay with the fruit. Liquorice is the root of Glycyrrhiza glabra from which a sweet flavour can be extracted. Most liquorice is used as a flavouring agent for tobacco, particularly US blend cigarettes, to which liquorice lends a natural sweetness and a distinctive flavour. Commonly known as locusts, they are deciduous trees and shrubs growing 4–25 metres (13–82 ft) tall. The leaves are pinnate with 7–21 oval leaflets. The flowers are white or pink, in usually pendulous racemes. Many species have thorny shoots, and several have sticky hairs on the shoots. Cubeb Pepper is cultivated for its fruit and essential oil. The fruits are gathered before they are ripe, and carefully dried. Nutmeg (also known as pala in Indonesia) is one of the two spices – the other being mace – derived from several species of tree in the genus Myristica. Nutmeg is the seed of the tree, roughly egg-shaped and usually used in powdered form. Verbena contains about 250 species of annual and perennial herbaceous or semi-woody flowering plants. The leaves are usually opposite, simple, and in many species hairy, often densely so. The flowers are small, with five petals, and borne in dense spikes. Saffron is a spice derived from the flower of Crocus sativus, commonly known as the "saffron crocus". Saffron crocus grows to 20–30 cm (8–12 in) and bears up to four flowers, each with three vivid crimson stigmas, which are the distal end of a carpel. Kampot pepper is a cultivar of pepper and is produced and sold in green, black and white varieties, all from the same plant. Cardamom has a strong, unique taste, with an intensely aromatic, resinous fragrance. It is the world’s third-most expensive spice, surpassed in price per weight only by vanilla and saffron. Galangal is related to and resembles ginger. While ginger tastes a little like galangal, most cooks who use both rhizomes would never substitute one for the other and expect the same flavor. Many cultivated verbenas (herbs or shrubs) have fragrant blossoms and leaves that are sometimes used as condiments or for distillation of oils or for tea. Violet root was used in perfume and medicine in ancient times. Today it is more commonly used in aromatherapy as a sedative medicine, however, Gin brands such as Bombay Sapphire and Magellan Gin also use the root and the flowers for flavor and colour. It’s sometimes used as a substitute for anise in baking, as well as in liquor production, most distinctively in the production of the liquor Galliano. 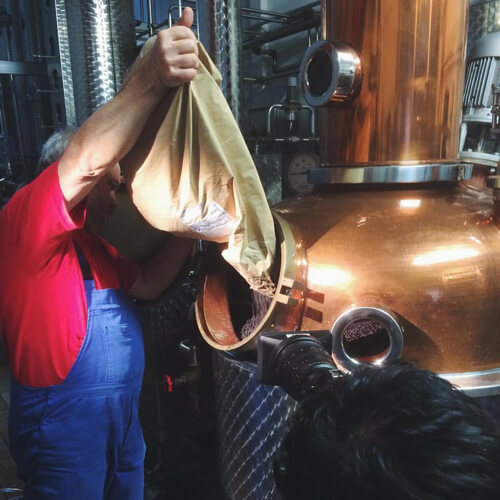 It is also used in the production of sambuca, pastis, and many types of absinthe. It’s an annual herb belonging to the family Apiaceae. It originated in India. Both the leaves and the fruit (often mistakenly called seeds) of the plant are consumed by humans. Lime Blossom comes from the Lime tree. The flowers are also used for herbal teas and tinctures; this kind of use is particularly popular in Europe and also used in North American herbal medicine practices. Grains of Paradise are from the Ginger family, the spice is obtained from the ground seeds; it imparts a pungent, peppery flavour with hints of citrus. Arabic gum also known as acacia gum, is a natural gum made of the hardened sap of various species of the acacia tree. Orange flower water has been a traditional ingredient used often in North African as well as in Middle Eastern cooking. In Arab variants of baklava, orange blossomwater is often mixed with the sweet syrup for flavor. The flowers, seeds, young leaves, and “roots” (rhizomes) are all edible. In Asia, the petals are sometimes used for garnish, while the large leaves are used as a wrap for food. Aniseed is a flowering plant in the family Apiaceae native to the eastern Mediterranean region and Southwest Asia. Its flavor has similarities with some other spices, such as star anise, fennel, and licorice. Tellicherry Pepper is a type of black pepper, it comes from grafted Malabar plants grown on Mount Tellicherry. Rose petals are sometimes used to flavour ordinary tea, or combined with other herbs to make herbal teas. In France, there is much use of rose syrup, most commonly made from an extract of rose petals. Long pepper (Piper longum), sometimes called Indian long pepper (Pipli), is a flowering vine in the family Piperaceae, cultivated for its fruit, which is usually dried and used as a spice and seasoning. Cinnamon blossoms come from the cinnamon tree, which originally comes from tropical Asia. Their taste is multifaceted, like a melange of cinnamon, cloves, orange peels and black pepper. 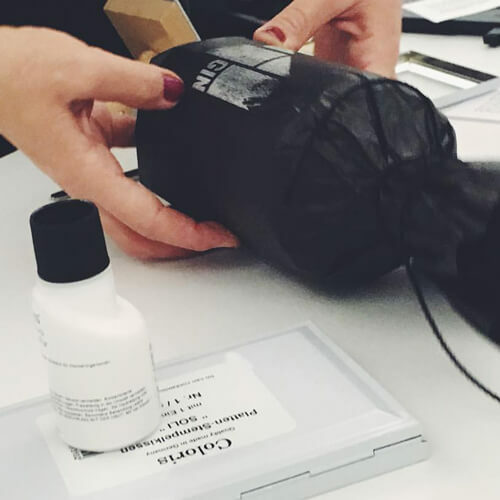 Its scent is balsamic: reminiscent of incense, tobacco and vanilla. Lime leaves are the most frequently used part of the lime plant used fresh, dried, or frozen. The leaves are widely used in Thai and Lao cuisine. Hibiscus is used for a variety of ailments partly because there are so many species, over 250. Roselle lowers fevers and high blood pressure, relieves coughs, and has been found to have antibacterial properties. All parts of the plant are used, from the seeds to the roots. Anise hyssop was used medicinally by Native Americans for cough, fevers, wounds. The soft, anise-scented leaves are used as a seasoning, as a tea and for alcoholic beverages. Handpicking the best ingredients for our gin. 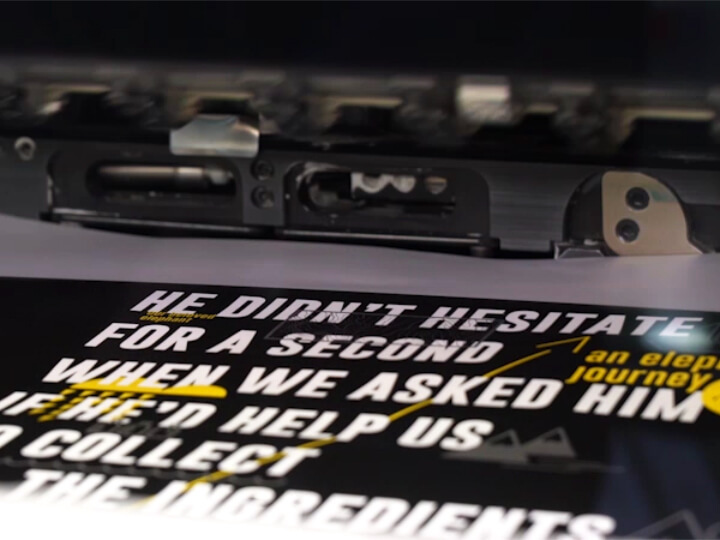 Printing the wrapping paper with the story of the elephant. 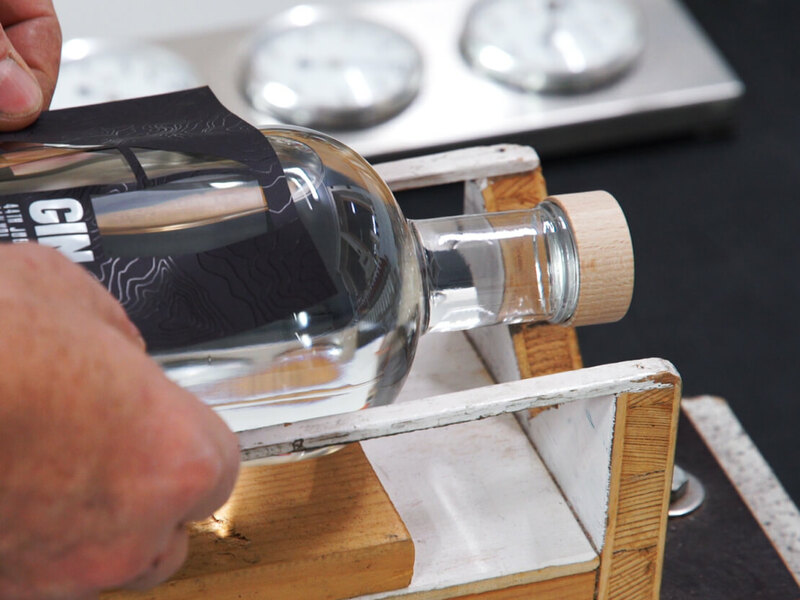 Then the final touch, adding the labels and hand numbering each bottle. 2016 PETER SCHMIDT GROUP All rights reserved. Bitte bedenken Sie, dass dieser und alle nachfolgenden Opt-Out-Links nur browser-spezifisch funktionieren und der Opt-Out nach Löschen der Cookies neu vorgenommen werden muss. Sie können dem Retargeting nach Art. 21 DSGVO jederzeit widersprechen. Bitte klicken Sie hierzu auf folgenden Link: https://support.google.com/ads/answer/2662922 Aus den verschiedenen oben genannten Datenquellen werden von uns anonymisierte Profile zu rein statistischen Zwecken gebildet, die der Verbesserung der Webseite dienen. Zu keiner Zeit werden hier Rückschlüsse auf Personen ermöglicht. Wir verarbeiten Ihre personenbezogenen Daten gemäß den geltenden datenschutzrechtlichen Bestimmungen auf Grundlage von § 26 BDSG. Wir verarbeiten die Daten, die Sie uns im Rahmen Ihrer Online-Bewerbung preisgeben ausschließlich für den Zweck der Bewerberauswahl. Eine Datenverarbeitung zu anderen Zwecken erfolgt nicht. Sie selbst legen den Umfang der Daten fest, die Sie im Rahmen Ihrer Online-Bewerbung an uns übermitteln möchten. Online-Bewerbungen werden elektronisch an unsere Personalableitung übertragen und dort schnellstmöglich bearbeitet. Die Übertragung erfolgt verschlüsselt. Im Regelfall werden Bewerbungen an die Leiter der zuständigen Fachabteilungen in unserem Haus weitergeleitet. Darüber hinaus findet eine Weitergabe Ihrer Daten nicht statt. Ihre Angaben werden in unserem Haus vertraulich behandelt. Bei erfolgloser Bewerbung werden Ihre Unterlagen nach Ablauf von [6 Monaten] gelöscht. Für den Fall, dass wir Ihre Bewerbung auch bei anderen oder zukünftigen Stellenausschreibungen berücksichtigen dürfen, bitten wir um einen entsprechenden Vermerk auf der Bewerbung. Wir verarbeiten Ihre Daten dann auf Grundlage von Art. 6 Abs. 1 lit. a DSGVO. Wir betreiben unter der URL https://www.facebook.com/BBDOGermany eine offizielle Facebook-Seite auf Grundlage von Art. 6 Abs. 1 lit. f) DSGVO. Wir erheben, speichern oder verarbeiten zu keiner Zeit personenbezogene Daten unserer Nutzer auf dieser Seite. Weiterhin werden keine sonstigen Datenverarbeitungen von uns vorgenommen oder initiiert. Die von Ihnen auf unserer Facebook-Seite eingegebenen Daten wie z.B. Kommentare, Videos oder Bilder, werden von uns zu keinem Zeitpunkt für andere Zwecke verwendet oder verarbeitet.